Is the shift in the immigration debate starting to happen between Democrats and Republicans? 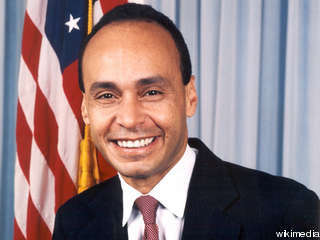 Both Univision News and Puerto Rico's El Nuevo Día are reporting that a meeting between Republican Senator Marco Rubio and Democratic leaders received praise by Democratic Rep. Luis Gutiérrez (IL), a vocal critic of recent Republican immigration policies as well as the policies of President Obama's administration. “It was a great meeting. Look, I am going to meet with anyone independent of their political party or what perceived or real political benefit my association [provides] as long as it does one thing: stop the deportations,” Gutiérrez told Univision News in an interview Wednesday evening. The congressman, who’s known as a champion for immigration reform, said the three members who met with Rubio aren’t yet willing to announce their support for the plan since the final language has not yet been drafted, although they did discuss some details. “He said it and we agreed with him; today was not a day for us to come together because there is no proposal to agree on. It was simply a conversation opening dialogue,” said Gutiérrez. Rubio has begun to promote an alternative version of The DREAM Act, which would begin to address the citizenship status of undocumented youth who came to this country with their parents, but are not American citizens. Rubio's plan is in sharp contrast to what the GOP front-runner Mitt Romney has been promoting for months, which follows a more extreme view of immigration enforcement. Recently Romney was open to Rubio's plan, although he has yet to truly distance himself from "informal adviser" Kris Kobach, the architect of Arizona's SB 1070 immigrant law. Rubio is still being mentioned as a possible running mate for Romney. Rubio’s proposal is styled after the current version of the DREAM Act, which would provide a pathway to citizenship for undocumented immigrants brought to the U.S. as children who are seeking a higher education or want to enlist in the military. The proposal, which is widely popular with Latinos and non-Latinos alike, passed the House in 2010 but failed to clear a 60-vote hurdle in the Senate to break a filibuster. The DREAM Act has been stalled in Congress since then under near-universal Republican opposition, including from Rubio, who describes it as an “amnesty” bill that could lead to “chain migration.” The presumptive GOP presidential nominee Mitt Romney said said he would veto the current version, though he has said recently he is open to Rubio’s plan. Rubio says that under his proposal, certain undocumented minors would receive legal status, but not a special pathway to citizenship. "Where’s the president’s immigration plan? Where does the president stand on this issue? Instead of campaigning all the time, maybe he ought to come back to Washington and go back to work,” Boehner said. “This notion that somehow Republicans want to have it both ways, they want to vote against these laws and appeal to anti-immigrant sentiment . . . and then they come and say, ‘But we really care about these kids and we want to do something about it’ — that looks like hypocrisy to me,” Obama said. Thanks for the insight you provide the readers!